Home DVR Examiner Upcoming DVR Examiner Updates: More DVRs, Faster! With DVR Examiner 2.2, we will be enabling continuous filesystem updates to allow us to give our users access to more DVR’s, faster! This functionality will allow us to push incremental filesystem updates to you as soon as our team finishes developing and testing a new or updated DVR filesystem. This will give you access to new DVR filesystem improvements without having to wait for the next update to the core application. Similar to the way that virus definitions get updated more frequently than the antivirus software itself, we feel that this update will bring tremendous value to you by providing access to new and improved DVR filesystems at an even faster pace. With this new update, in addition to the recent expansion of our engineering and support teams, we anticipate we will be able to push filesystem updates to our users every couple of weeks, instead of every couple of months. Users with an internet connection will be notified of the option to apply the updates automatically. Those of you without an internet connection will be provided with a small update file that you can copy to your workstation to get the updates. We will continue to add new features and functionality to the main application and interface, but these updates will be independent of any updates for new filesystems, and will continue to come out every couple of months. As a part of this update, there will be a change to the license for users who are licensed for perpetual access after their subscription has expired. 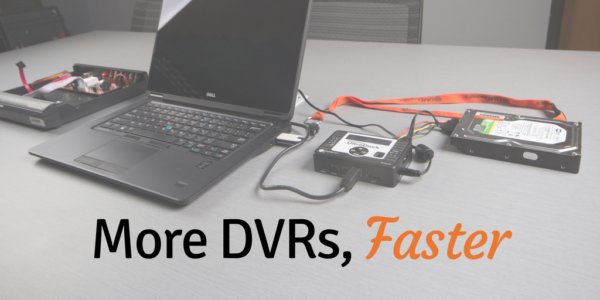 Starting with DVR Examiner 2.2, users will need to have an active subscription to scan/process new DVR cases. To ensure that you always have access to your previous cases, any saved case generated by a licensed version of DVR Examiner can be reloaded into the same version of DVR Examiner regardless of your licenses status. This will give you the ability to continue to preview/export from saved cases, even if your license has expired.